The Amaya AR Project is an Augmented Reality (AR) documentary inspired by the Nicaraguan April 2018 civic uprising, in which Emilia shares her experience from within the Nicaraguan diaspora and the story of Amaya Coppens, a Belgian-Nicaraguan political prisoner. The documentary was created with images and sounds gleaned from impromptu citizen journalism including viral images and sounds circulated on social media, television, newspapers, magazines and radio as events unfolded. 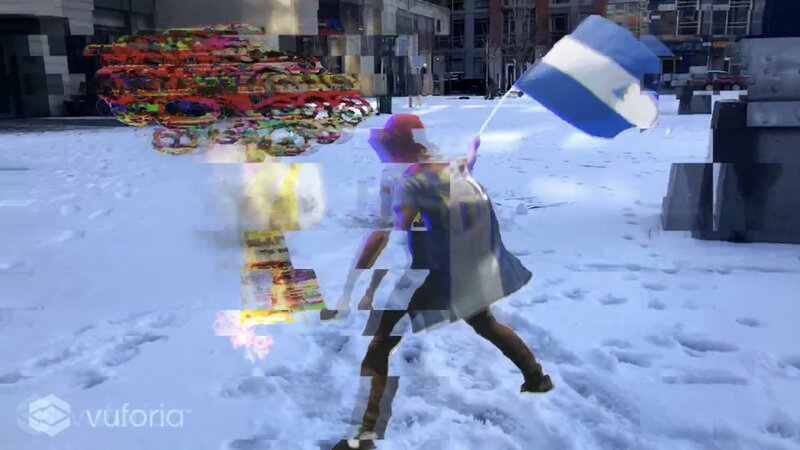 The approach to editing material was informed by Hito Steyerl’s essay “In Defense of the Poor Image”, leaning into the glitchiness, blurriness and low-quality of the content to express the affects of the situation in Nicaragua. 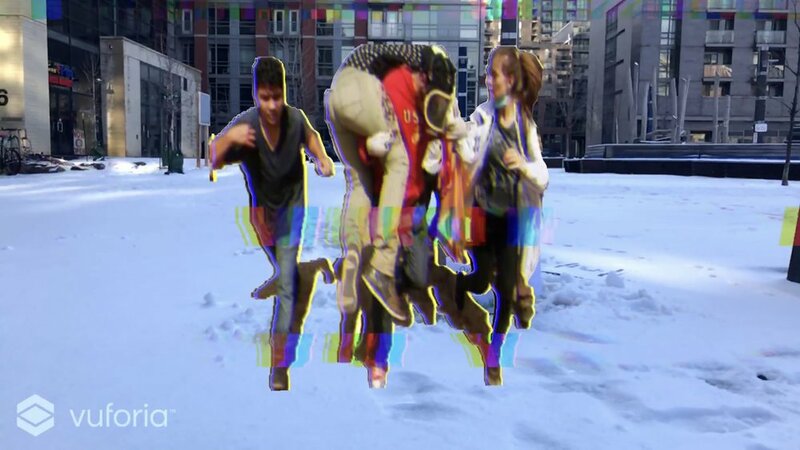 AR is used to creatively bring radically different spaces together, in which participants experience the relatively innocuous physical space of Lisgar Park in Toronto and, through a hand-held mobile device, the digital space with images and sounds from the Nicaraguan 2018 civic uprising. Emilia is a Nicaraguan-Canadian new media designer and producer focused on storytelling, interactive narratives, creative concept design and affect theory. Her research is centered in the use of Augmented Reality, as she understands the impact of storytelling and innovation as pillars for creating compelling and meaningful experiences. Emilia’s professional background is rooted in community-based projects and human rights advocacy. She has experience in project management for a not-for-profit Non Governmental Organization, and as a televisiontv reporter and producer in Nicaragua, her pieces sought to inspire and inform youth on democracy, active citizenship, women’s health issues and gender equality.